My name is Tim Harwood and I am delighted to be teaching Reiki to people in the heart of London. 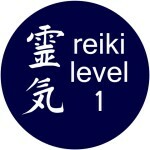 I have been trained in Reiki since 2005 and believe that the personal growth, peace, calm and sense of well-being that this wonderful system produces should be learnt by everyone. I am based in the Clerkenwell, EC1 area as I have found wonderful space of Clerkenwellbeing for me to teach in. My main website is RelaxReleaseRenew and this, currently, has more information about the courses than this one does.